High quality, durable chain link fence slats add color, wind protection and privacy to chain link fencing. 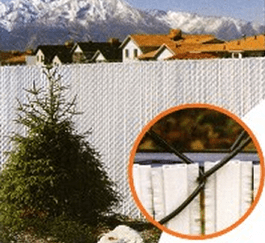 If you’re looking for privacy and the security that goes with your new chain link fence, the obvious solution is slats. 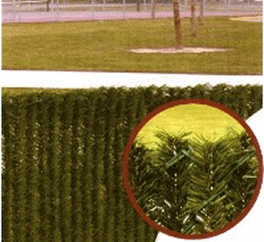 They are designed to compliment and enhance the property and they are just as rugged and durable as the chain link fence itself. 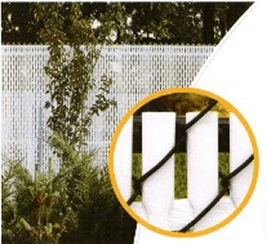 SlatSource® chain link fence slats are extruded from High Density Polyethylene (HDPE), color pigments and ultra violet (UV) inhibitors specifically formulated to retard the harmful effects of the sun and lengthen the life of the slat. Our fence slats for chain link fence are resistant to sever weather conditions, salt water, sand, road dirt, most acids, alcohol, alkaline, ammonia, petroleum distillates, and common environmental pollutants. These chain link fence slats are nearly maintenance free. They may be pressure cleaned of surface contaminants with plain water.